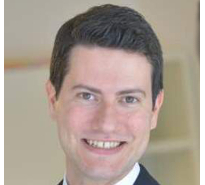 BENEDETTO BUONO, works in the Strategy & Planning department of SACE SpA, a leading Italian financial Institution. Prior to joining SACE, he worked for the Investor Relations of blue chip Finmeccanica. Previously, and always for the aerospace and defense giant, he spent several years in Finmeccanica Consulting, the Group’s internal consulting. He began his career in Management Consulting at Accenture, as analyst for teams involved mainly in Media & High Technology projects. He holds a master’s degree with honors in Economics from the University Luiss Guido Carli, specializing in International Management. He also holds a bachelor’s degree in Economics and Management from the same University. He is one of the co-founders of Eggup, an innovative tech startup that, through a proprietary algorithm, analyzes personality and allows you to create work teams with high potential. Among his interests there are innovation, technology and finance.